An electrical relay is sort of a magical device ? it takes a small electrical signal and uses it to manage a much more powerful current, permitting electrical systems to be both lighter and more dependable at the same time. 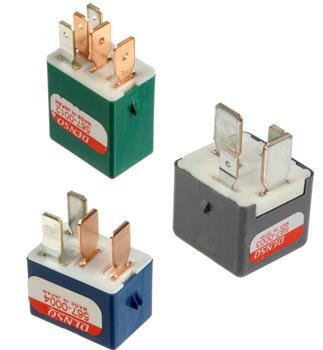 DENSO has supplied quality relays to the OE automotive world for over 60 years. The very same performance and dependability are available across the replacement aftermarket with DENSO First Time Fit? relays. Engineered to meet the most stringent automaker standards for shock resistance, arcing, and thermal protection, DENSO auto relays feature the lowest return rates in the industry; that equals value for car owners and repair facilities alike. Autoplicity has the lowest prices. My new shocks were shipped within 24 hours with UPS Ground tracking#. Although I was expecting a closer warehouse than the San Diego one for my product to ship from (I'm in CT), I would still rate 8.5/10 stars. The prices were so low that I ordered struts the next day so that I could take advantage of the MONROE rebate by ordering a full set. My MDX is sitting pretty and riding smooth once again. Thanks, Autoplicity.